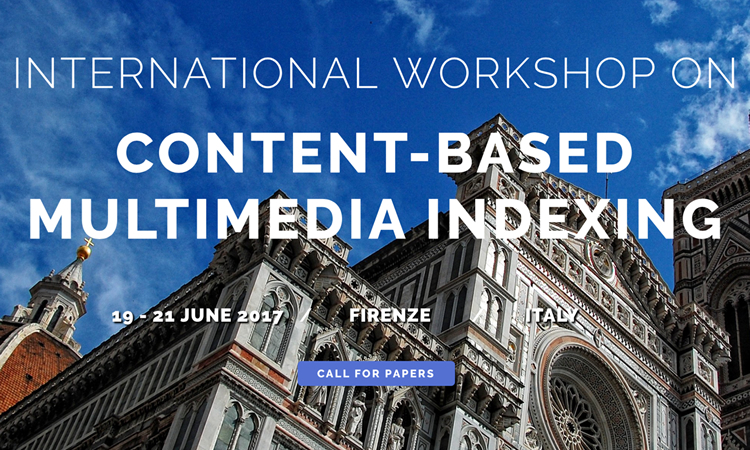 The 15th edition of CBMI will be organized in Firenze, Italy, 19-21 June 2017. The scientific program will include invited keynote talks and regular, special and demo sessions. Authors are encouraged to submit previously unpublished research papers in the broad field of content-based multimedia indexing and applications. We wish to highlight significant contributions addressing the main problem of search and retrieval but also the related and equally important issues of multimedia content management, user interaction, large-scale search, learning in retrieval, social media indexing and retrieval. 4 special sessions in sparse data machine, media production, deep learning for multimedia indexing and cultural heritage. Authors are invited to submit full-length and special session papers of 6 pages and short (poster) and demo papers of 4 pages maximum. The submissions are peer reviewed in single blind process. The language of the workshop is English.